First you must know how important any logos in a blog. It is like a kind of a short impression to representative your mission in a blog. People will being reconized the massage of your blog going through it and possible become so curious what is it in the scene? Lot of people are blogging through their smartphone, why it happen? Because of recent time technology is opening all the mobile possibilities, people are blogging with their phones, tablets and then how many of them are still using laptop or even a PC desktop? not a lot of us still remain. It why this tutorial is aimed to the blogging mobile users. You should know a logo will offering more your blog's contents to the viewers, and more a good looking logo will having a power to change your ordinary theme become more premium in it appearance and even looks more professional. 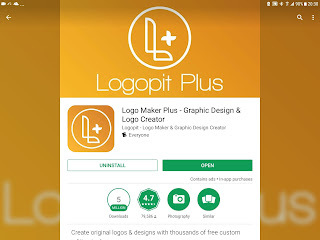 No wonder in online market some people are offering you a service for logos, they sell it. And some of it are so expensive. But with this tutorial hope you can create it by yourself and I will telling you how. Do not buy just save your money because a logo for blogging that made by people for your blog sometimes even not meet your expectation. (1) Make it simple, as you can see an Apple logo is just an apple fruit shape no colorful, it is with bitten marks, but why it becomes so legendary? Because it is so simple! (2) With impression, people so curious see that what the mission, and what is in the scene? Make an impression Logo. (3) According to the theme, if you moot the juice why don't you insert a juice image as your icon? 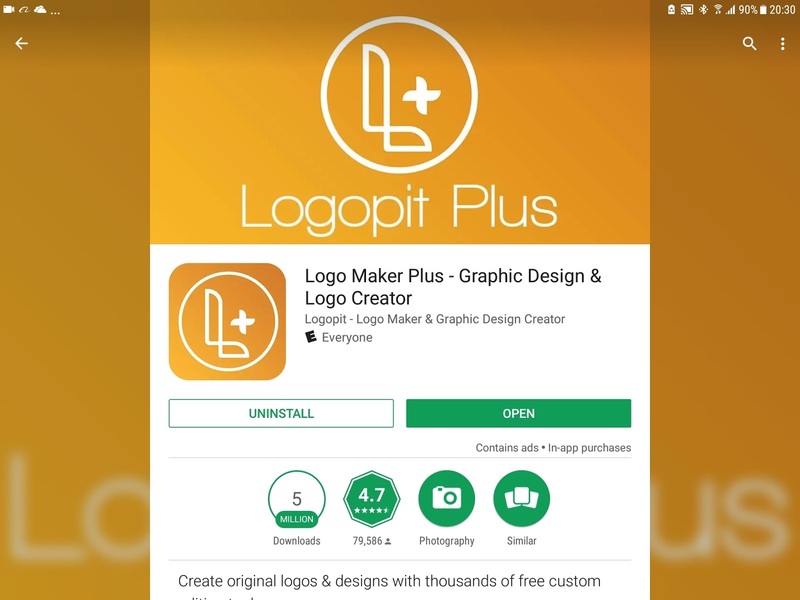 Of course, still many similar applications are available in Play Store, but let focus in this one logo creator and when you done to download it just open the application. It will display a canvas for drawing, no need to drawing you just need insert so many logos, signs, fonts that availlable for your creation. Trust me it is very easy. First step, choose canvas size, various shape are availabe as well. I propose you to choose over 300x200 for your blogger logo that will being put in your blog's header. 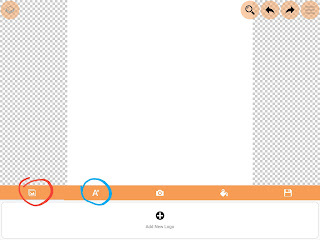 Too large image that you embed into your site will be loaded your site with more unnecesarry load. 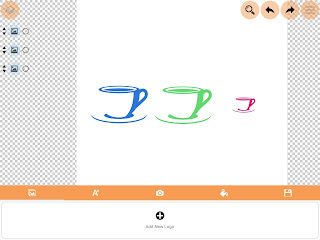 Then you ready to add an image that you can choose on application library by push + button, in this step you can choose a logo that you like and then you can editing it color, size and for it layout. 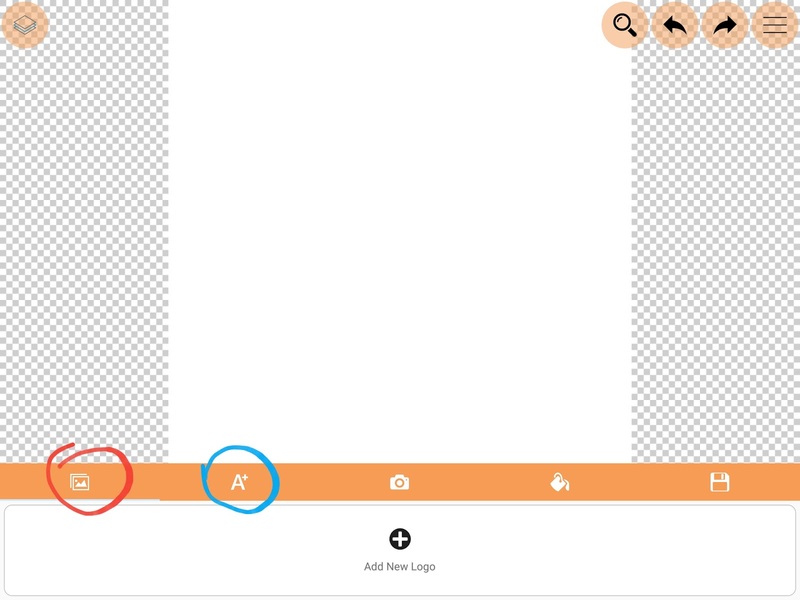 Red circle that I marked on canvas button is for logo insertation whereas the blue circle marked as font insertation. In this step just push the red circle first. 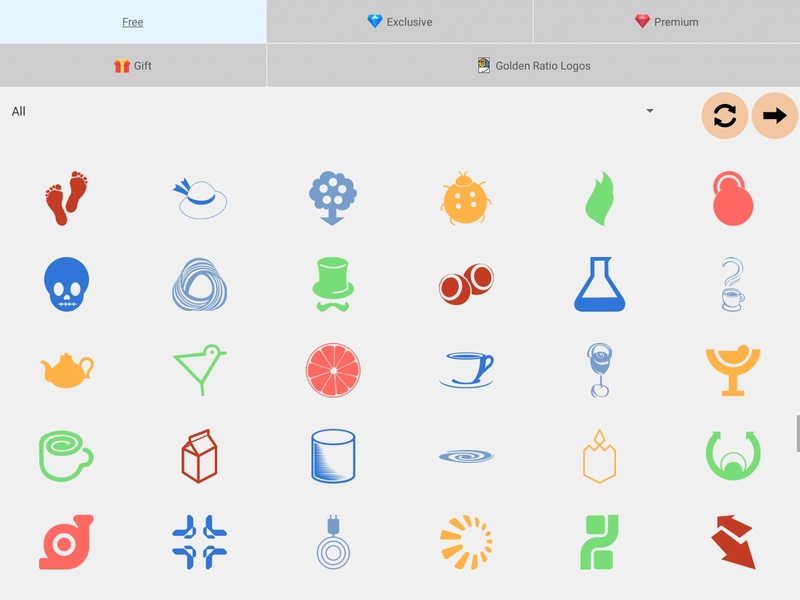 Then a bundle of logos will displaying, you can choose one. Hey there found a blue cup! 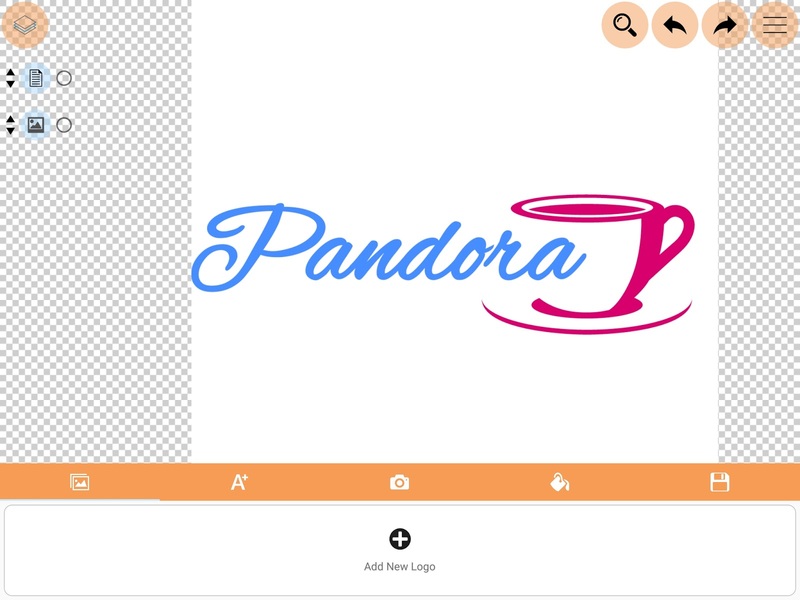 It looks a "kotakpandora" logo's that using by me for create pandora's logo and even for it favicon! 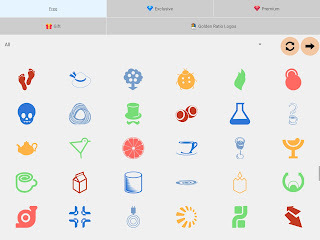 Once you choose one logo, you can change it color, layout and even to resize it. You may choose a color that you like. 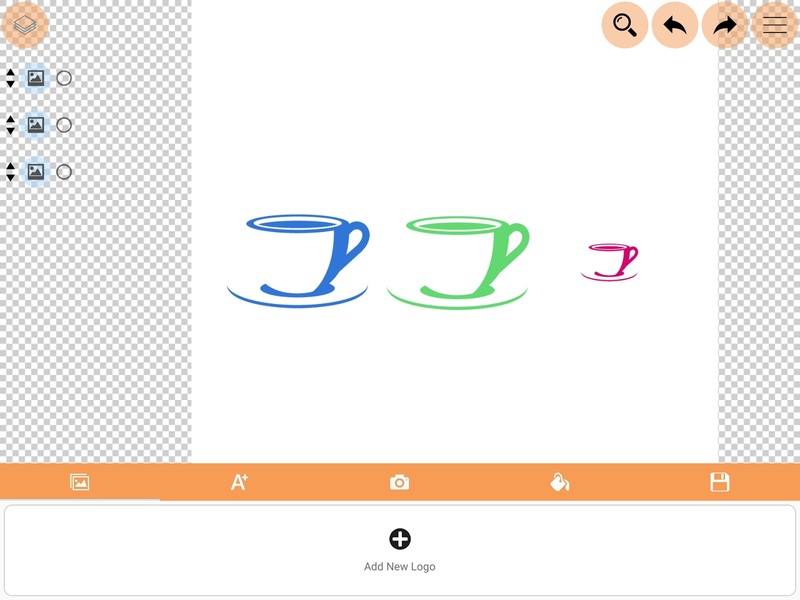 Then once you finsih with it, you can add font with few style following what you like. I courage you to make an adjustment following what color you have in your blog background header. Using an application in a phones is very easy, you can touch it, pinch it when you want to resize the image or logo become smaller. 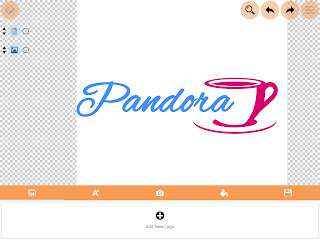 Then just insert a font or a word in order to make your logo even more looking better. A logo is done! But you have more than one choice to save it by different image format: JPG or PNG, please consider to choose PNG because of it trasparancy image and will automatically can inserted into your blog header without destroyed your existing blog header background color. The image suppose to be save in your picture album in your Android devices. 3. HOW TO INSERT LOGO INTO YOUR BLOG'S THEME? Both default and premium custom themes that you have are not provide you with any logo that suitable with your expectation or your blog mission. So it why you must create it. 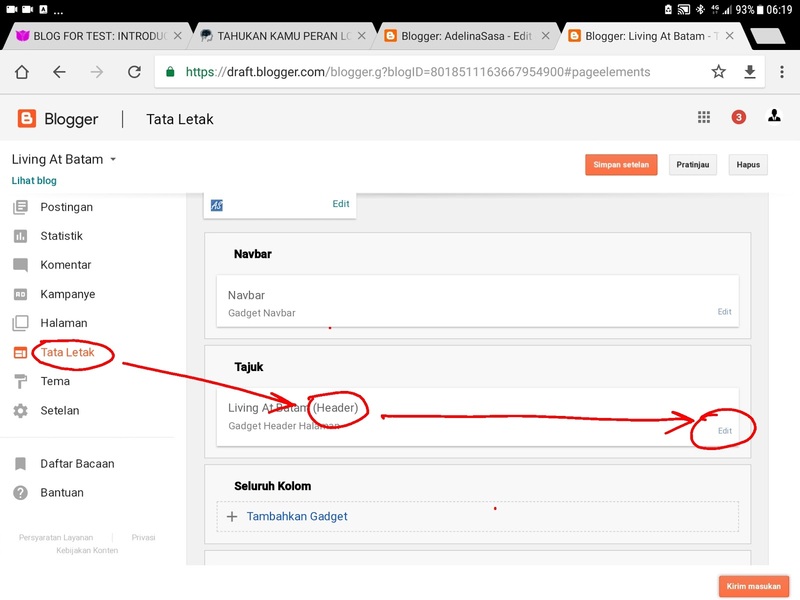 Step 1: Just open blogger setting, choose setting or layout then choose "edit header" button. 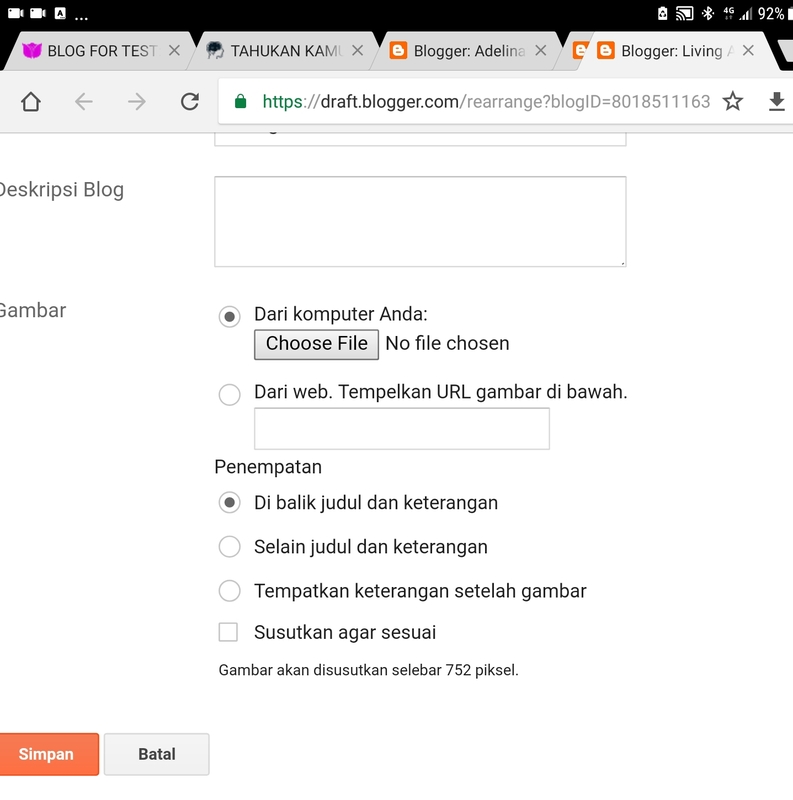 You may put blog Tittle, blog description then you may push choose file to insert any logo that you create and saved in your photo album in your android devices. Or you may insert image from URL, but I recommend you for this time to choose inserting the logo directly from you photo album in your android devices. 4.HOW TO CREATE AND INSERT A BLOG'S FAVICON. 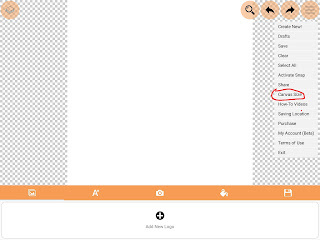 What is favicon, is an icon with small image size that seen on bar address. A favicon even small is very important to recognised your site by such kind icon. See address bar? 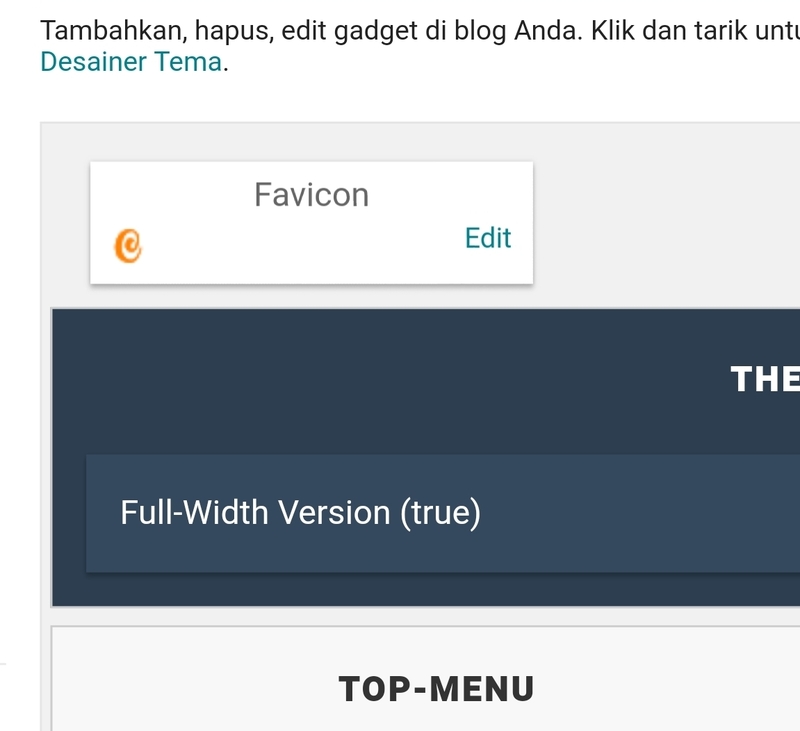 Why your blog still with default blogger favicon, it is not your own identification. And you can change it easily. 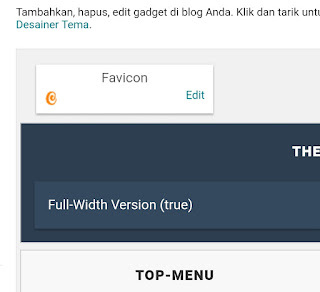 With same application you can create a favicon but must note: The favicon size and dimension is just 100x100 if you make more than it, it will not working. And the dimension of a favicon shape is square, 100% square. If you make it over 100x99, it will not working because it does not working with a rectangle. Once you create it by LOGOPIT Plus android application just resize it become really 100x100 dimension and better save it as PNG format. Go to setting such like you insert a blog logo and choose "edit"
It is easy when you use laptop or a desktop PC to edit a favicon image, for example when you need to corp an image without damaging it format. When you edit PNG image with inappropriate tools possible will lost transparancy. 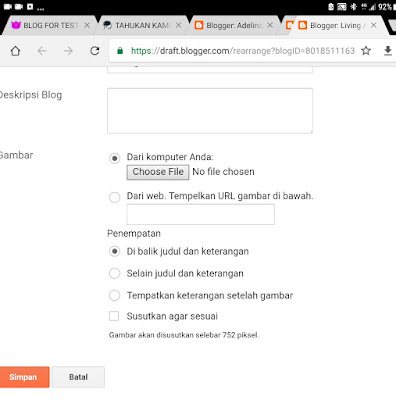 It is important to figure that when you want to insert a favicon using your android device through chrome browser just change it (the browser) become desktop site option first. Why it must? 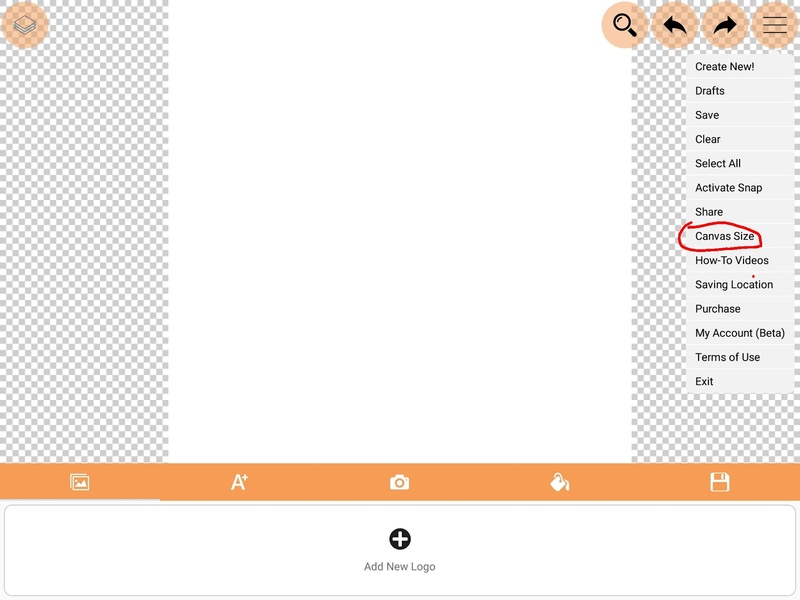 Because when you use browser with mobile option, it will read your favicon size as "too large size" like always. 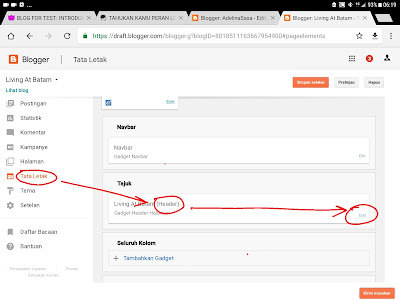 ini tutor cara mengganti logo to mas? New science, usually placing the logo by entering in the html template.